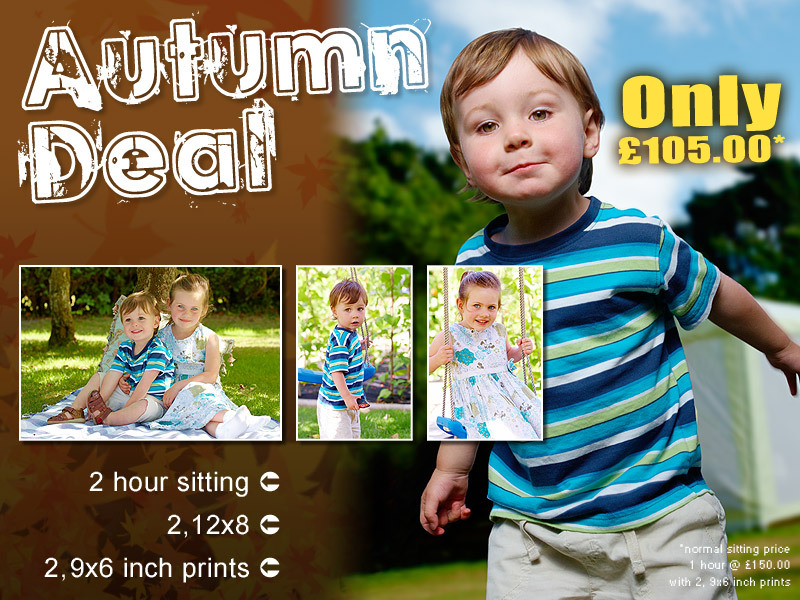 Ok, summer (well what we had of summer) is over, we’re into September, so here it is, the Autumn Deal! Instead of the usual £150.00 with 1 hour and 2, 9×6 inch prints, you will receive 2 hours, 2, 12×8 and 2, 9×6 inch prints for just £105.00. I’m sure you’ll agree a cracking deal! The colours of Autumn make for some amazing location shooting, these photographs could be ideal as presents to members of your family. So what are you waiting for?! head over and book your time now!